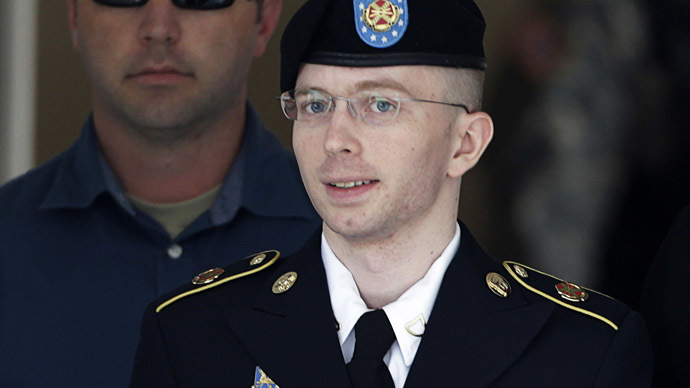 WikiLeaks source Chelsea Manning filed a federal lawsuit against the United States military on Tuesday this week over the Pentagon’s ongoing unwillingness to properly treat the former Army intelligence analyst for gender dysphoria. Manning, 26, has been diagnosed with gender dysphoria — an incongruence between one’s expressed gender and what's assigned at born — no fewer than five times by military doctors during the four years she’s been in Army custody for sharing a trove of sensitive government documents with the secret-spilling group WikiLeaks. Despite these repeated diagnoses, however, Manning’s attorney say the soldier has received nothing close to what the World Professional Association for Transgender Health (WPATH) — the leading authority on gender dysphoria, or gender identity disorder — advises with regards to treatment. Now after multiple requests and complaints — and in the midst of a 35-year prison sentence handed down by an Army judge last year over the soldier’s role with WikiLeaks — attorneys for Manning officially sued the US Department of Defense this week for what lawyers say is the Pentagon’s persistent denial of access to medically necessary treatment concerning her gender dysphoria. According to the complaint, Pentagon officials have been far from forthcoming with respect to WPATH’s recommendations. 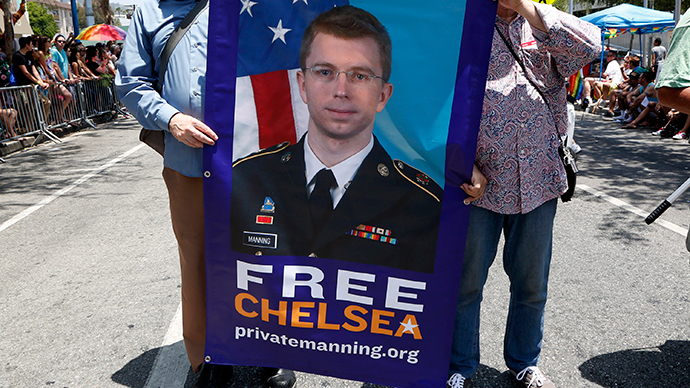 The lawsuit alleges that military brass starting with Defense Secretary Chuck Hagel and down to the director of treatment programs at the Fort Leavenworth, Kansas disciplinary barracks where Manning is serving her sentence are responsible for violating the prisoner’s constitutionally-rights by continuing to deny her treatment, and cite gender dysphoria experts who say staying on course could cause the symptoms of the soldier’s condition to greatly worsen. The Defense Dept. does not provide hormone therapy to transgender inmates, and the Bureau of Prisons — the federal office that handles civilian correctional issues — has rejected a transfer request placed by the Pentagon earlier this year that aimed to move Manning to a non-military facility. 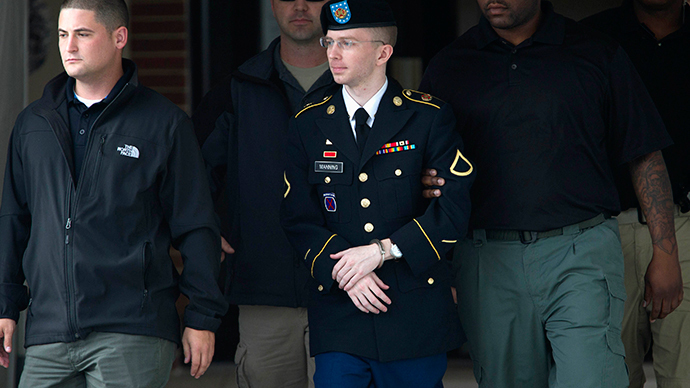 Yet while some military officials have expressed willingness in recent months to provide Manning with sufficient care, the soldier’s lawyers argue in Tuesday’s filing that the result thus far remains well short of what is needed. 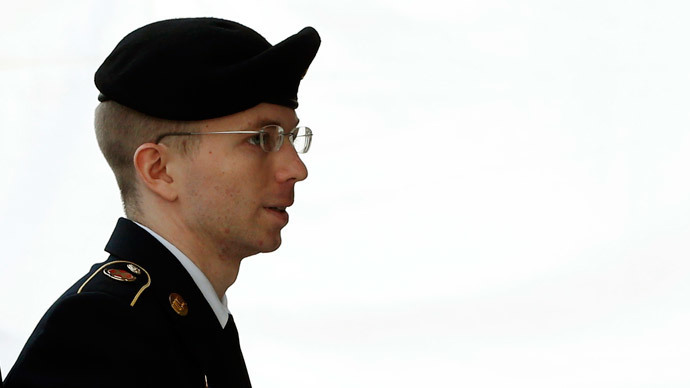 “As a direct and proximate result of Defendants’ purposeful and intentional actions, Plaintiff has suffered and continues to suffer injury, including, without limitation, serious physical, psychological and emotional harm, mental anguish, distress, humiliation and indignity,” Manning’s attorneys write. Along with David Coombs — the civilian attorney who worked with Manning during the soldier’s months-long court-martial last year — the ACLU has signed on to the lawsuit in hopes of forcing the Defense Dept. 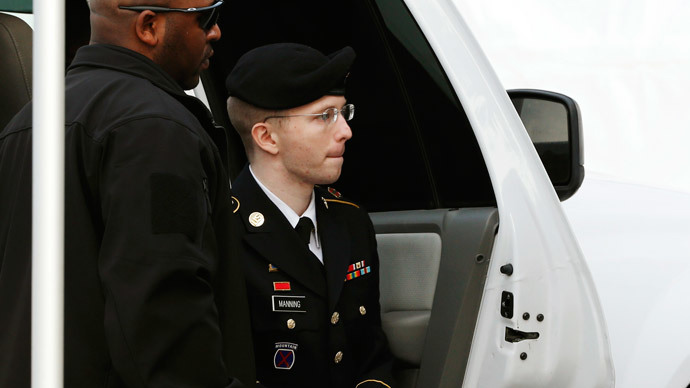 to provide Manning with what they consider to be medically necessary treatment. Manning supplied the WikiLeaks website with a trove of classified documents — including field reports from the wars in Afghanistan and Iraq, Guantanamo Bay detainee assessment briefs and State Dept. diplomatic cables — during her tenure as an intelligence analyst stationed near Baghdad where she served under her birth name, Bradley. 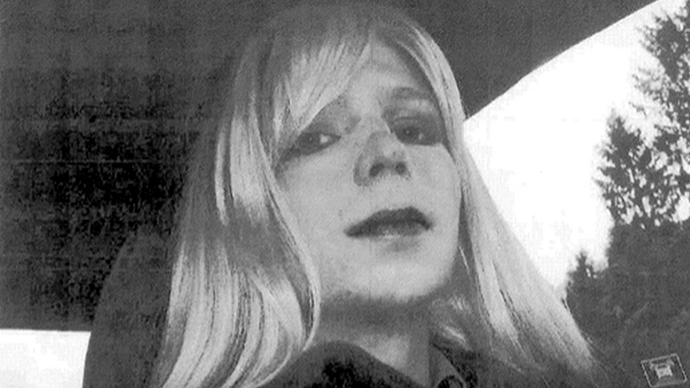 One day after being sentenced to prison for the unauthorized theft and disclosure of those documents, Manning said in a statement read by her attorney that, “Given the way that I feel, and have felt since childhood, I want to begin hormone therapy as soon as possible.” She legally changed her name to Chelsea Manning earlier this year.